As a Cisco training center, Asher College can help you get trained and CCNA-certified right on our campus. Prove to employers that you have the IT network skills to help keep their networks safe, secure, and running smoothly. 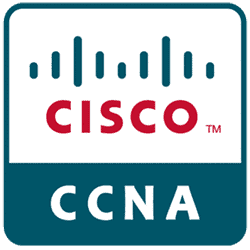 Cisco’s CCNA Certification does just that. The best way to see if Asher College is the right fit for you is to see it for yourself. You can tour our facilities and meet with both students and instructors. Book a Tour Now or Get more information . Passing the industry recognized vendor exam for this course earns you the Cisco Certified Entry Networking Technician (CCENT). A CCENT certification opens the doors to a career in networking. CCENT certification is your first step toward CCNA certification and will help you stand out from the crowd in entry-level positions using Cisco software. Is a Career as an IT Professional Right for You? Find Out! Take the Asher "IT Professional Career Training Readiness Quiz"
We have an advisory board that helps shape our curriculum. This allows us to alter the curriculum based on recommendations from employers who hire our graduates. Don’t wait around to enroll — our courses begin every 2 weeks so you can start your program as soon as you’re ready. Begin your path to a new career quickly with Asher College. We’re a small college, which makes Asher feel like an extended family. Each instructor and faculty member will get to know you by name and help you along the way. Get first-hand practice and job-preparation with our PC clinics. Asher College hosts a PC clinic every week onsite, where free repairs are offered to the community. This gives you a chance to see how you would deal with various situations while on the job. You’ll feel confident and capable when you’re able to successfully make PC repairs by yourself. I couldn't have done it without Asher. The instructors are brilliant. They have no problems answering any questions... I can't convey how grateful I am for Asher College coming into my life. We offer Federal Student Aid (FAFSA) to students who are eligible. Our Financial Aid administrators and College Certifying Officials will work with you to find the best financial solution to fit your needs. To learn more, visit our Financial Aid page. Veterans Education Benefits: Asher College is rated as Gold Level Top 10 Military Friendly® schools. For over 15 years, Victory Media’s ranking of Military Friendly® schools has helped veterans take their education into their own hands when choosing which schools afford them the best opportunities. Military Benefits Accepted at Asher College include Chapter, 31, 33 and 35. To learn more, visit our Veterans Education benefits page. *Financial Aid is available for those who qualify. If you’re interested in learning more about careers in IT Networking and exploring whether this is the right career path for you, fill out the form on this page to receive more information. A helpful Asher College Admissions Representative would be happy to answer any questions you have and can help with everything from scheduling to financial aid. For immediate questions, call 1-888-211-8829.